Please note: at this time, I'm accepting women only as new clients, and men by referral. ​AcuReiki combines Acupressure and Reiki in one session. Acupressure uses a variety of assessment tools to determine the pattern of disharmony within the meridian system, with light to firm pressure applied through clothing on specific points to remove congested and blocked energy ("chi"). My practice centers on issues related to women's health concerns and reducing their stress. When the channels are open and chi is moving, many common complaints are eased. Acupressure is especially effective in identifying the root cause of imbalances. Acupressure removes constraints, opening and balancing the meridian system, and as I hold the points, I open to Reiki, becoming a channel or container for the energy so it is present and moving throughout the session, nourishing the channels. Excellent complementary therapy for those recovering from surgery, injury, trauma, or who are generally too fragile physically to receive massage. One of the advantages of these systems is that we can work to rebalance the energy system of the body which can provide relief for chronic conditions and those possibly too subtle for Western medicine. You can also come in for a maintenance session to give a boost to your vital energy, and harmonize your thoughts and emotions, and to rebalance and support your immune system. Feedback from clients includes, "That's the most relaxed I've felt in a long time. A long time," and "I feel like a different person from when I arrived." My overall intent in this session is to assist you in achieving optimal health, wellness and vitality to relieve stress, pain, anxiety, and improve chronic conditions. As I share Reiki with you, I hold acupressure points to rebalance patterns of disharmony which are at the root of discomfort and disease. To support your returning to a harmonious state of being for improved vitality, energy, and clarity of purpose in your life. To provide educational information to help you maintain the benefits of the session into your life. 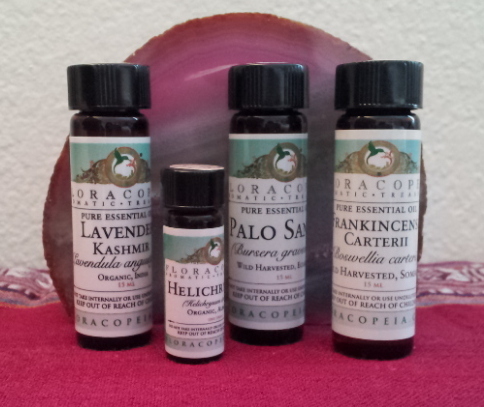 AcuReiki Essence© sessions are now available, with the use of specific high-quality essential oils on acupressure points to enhance the effect of the points! Please click here to find out more! Please feel free to contact me if you have questions about this and/or would like to set an appointment. Please note: I am currently only accepting female clients for in-person sessions, and accept male clients by referral. Distance Reiki is available to new male clients, as is on-site Reiki in a public setting, such as a hospital, clinic, hospice, etc. © Copyright 2019 AcuReiki Healing Arts. All rights reserved.